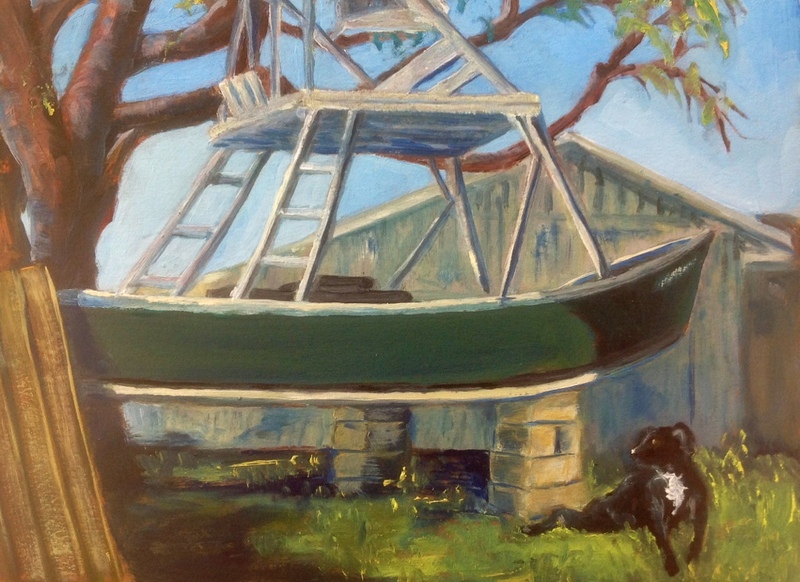 I just released this painting to the owner of the boat and of the dog, in exchange for some cash and two dozen just-steamed, seasoned blue crabs. Stephen, the owner, is locally called “Crabby Stephen.” For his crabby output, not his outlook. What a joy for both of us! Sitting down to enjoy the crabs for dinner now. If the crabs were as good as the painting of the boat, they must have been delicious. Great painting. Ellie! The crabs were great, but golly what a job it is to extract the meat. I appreciate lobsters so much more now.